These days, we put such a premium on owning the first production model of each new vehicle, that it’s hard to imagine a historic sports car like the first-ever Chevy Camaro ending up as a stripped-down and neglected drag racecar. But that’s precisely what happened to the first, hand-built Camaro, according to this fascinating new video from Pilot Car Registry. 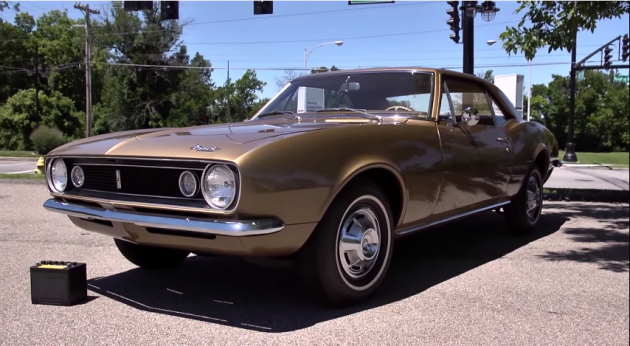 The video (below) documents the huge popularity experienced by the first Camaros—which accounted for 12% of all Chevrolet production in 1967—while focusing on the long, twisty tale of the very first Camaro ever built: Camaro N100001. The hand-assembled example was a display model until R.T. Ayers, an Oklahoma Chevy dealer, got hold of it. But he parted ways with the Camaro, as did the next string of owners, until it eventually wound up being stripped down for use in drag racing (fortunately, each original piece was removed carefully and kept in storage). The first Camaro ever built will be on display from June 26th through the 28th at the 2015 Carlisle GM Nationals in Carlisle, Pennsylvania.